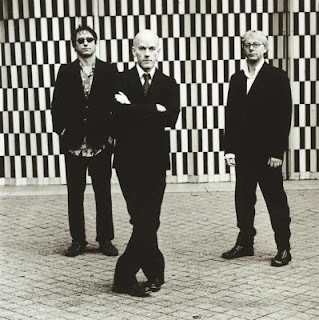 It's Not The End Of The World For R.E.M. Their extraordinary run through rock and roll history as one of the seminal bands in the alternative rock genre and subsequent place in the Rock and Roll Hall of Fame should be a testament to their efforts and fan base. R.E.M. first came together in 1980 with Michael Stipe, Peter Buck, Mike Mills and Bill Berry. Their first few releases were not big hits but right from the start, with the 1981 single "Radio Free Europe" and the 1982 EP 'Chronic Town,' they were able to build a solid reputation among music fans and college radio. The Grammy-winning group, now composed of Stipe, guitarist Peter Buck and bassist Mike Mills, released its debut album 'Murmur' in 1983 and that LP, along with millions of college students who fell in love with their sound, put the group on the map. Rolling Stone called it the best album of the year (over titans like Michael Jackson's 'Thriller' and Sting's 'Synchronicity') and it topped out at number 36 in the US. They continued to build their fan base over the next four years leading up to 'Document,' their first solid hit album which reached number 10. For the balance of their career, R.E.M. 's albums sold solidly including chart toppers 'Out of Time' (1991) and 'Monster' (1994) on the strength of such hits as "The One I Love" (1987 #9), "Stand" (1988 #6), "Losing My Religion" (1991 #4), "Man on the Moon" (1992 #30) and the haunting vocals from Stipe with "Everybody Hurts" (1993 #29). 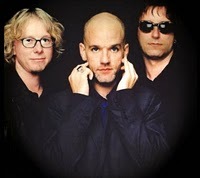 The band's videos also became staples on MTV in the 1990s, including the eye-catching "Losing My Religion" and the stark "Everybody Hurts," which had Stipe walking through a highway traffic jam. When they lost some of their luster in the US, Europe quickly embraced the band from Athens, Georgia and Stipe's well crafted songs that were atypical of the standard rock fare. In their own words: The guys shared their thoughts on ending the band. R.E.M. 's stellar career has cemented them in as one of rock and roll's elite bands. Godspeed R.E.M., you were and still are a part of my personal musical journey and always will be. Listen to the group as you read the blog and cherish the fact that they were kind enough to share their music with us! Dutch heavy rock collective Autumn have announced their new album, 'Cold Comfort', whixh is set to be released November 8th via Metal Blade Records! This is the band's fifth full-length effort and their third for Metal Blade Records and offers a collection of striking songs blended into a diverse and yet surprisingly compact album, one that Autumn considers to be their most personal and meaningful to date. 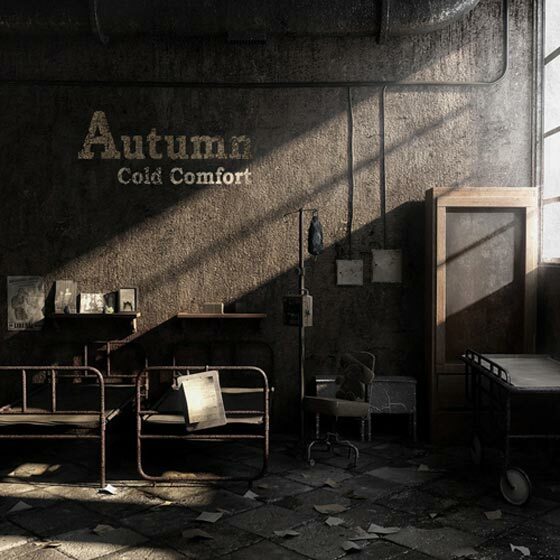 While Autumn's roots remain firmly planted in heavy rock/guitar-oriented soil, their branches are stretching out to more progressive musical genres and alternative approaches to the sound of individual songs. Guitarist Jens van der Valk elaborates: "In terms of sound we realized there were still leaps to be taken out of our comfort zone and into unthought-of possibilities. As a first step in the right direction, our main focus was on a more open, transparent sound, one through which the often multi-layered nature of our songs would be optimally channeled." Electric Flower, the new band featuring Josh Garza and Imaad Wasif, will release their debut EP on Nov. 8 on Narnack Records. The self-titled EP will be released digitally and on limited foil stamped, red 10-inch vinyl and only 500 copies will be printed. Kingston-based band, Tubelord is back, this time with the release of their second record, 'R O M A N C E.' Scheduled for release on October 10th via Pink Mist, the effort will be available on CD 12” vinyl LP and also as a digital download. The lead single “My First Castle” may possibly be their finest example of a pop song yet. The vocals are as distinctive as ever, the lead singer sings with as much belief to convince you that each and every word is deeply personal and of relation to both him and the band. The drumming skills of David Catmur interweaves harmoniously with the bass lines of Tom Coulson-Smith, each emphasized by the most recent addition of synthesizers and keyboards. Billboard reports that GNR will hit play more than 30 dates, beginning with an Oct. 28 appearance at the Amway Center Arena in Orlando. Among the cities listed on the itinerary are Miami, Atlanta, Chicago and East Rutherford, N.J., as well as a series of smaller markets. Before reacquainting themselves with US fans, Guns will perform Oct. 2 at the Rock in Rio Festival in Rio de Janiero, Brazil. Fans and organizers are no doubt hoping things go more smoothly than they did last year in England, where Axl and co. made a mess of their Reading and Leeds festival appearances. PLUS 4-CD JIM CAPALDI BOX SET "DEAR MR. FANTASY: THE JIM CAPALDI STORY"
LOS ANGELES, Sept. 20, 2011 /PRNewswire/ -- On September 20, 2011 Universal Music Enterprises (UMe) will release Mike Oldfield's Incantation - Expanded Edition (1 CD), Thin Lizzy's Bad Reputation - Expanded Edition (1 CD), Sandy Denny's classic solo debut North Star Grassman and The Ravens - Deluxe Edition (2 CDs) and the 4-CD career retrospective box set on Jim Capaldi, Dear Mr. Fantasy: The Jim Capaldi Story. All music has been remastered with bonus material. The music of Mike Oldfield is some of the most spiritual, ethereal, reflective and sensual in rock. Oldfield himself created his own genre with his groundbreaking 1973 debut, Tubular Bells, and has continued to craft highly individual works to this day, building him a worldwide loyal following. Since Oldfield's catalog moved to Mercury in 2008, Universal has been working closely with him to ensure the highest standard in revisiting his masterworks from the '70s and '80s. Originally released in November 1978, Incantations was Oldfield's first and only studio double album comprised of four parts of the title track. It is a masterpiece of minimalism, with Oldfield playing many of the instruments with old friends including David Bedford conducting the choir and orchestra, Pierre Moerlen on drums and Oldfield's sister Sally on vocals. Overseen by Oldfield, the expanded version of this masterpiece is fully remastered complete with artwork and extensive liner notes. As an added bonus, Incantations – Expanded Edition includes the track "Guilty," Oldfield's legendary 1979 single recorded in New York City at the height of the disco movement. Mike Oldfield is an artist like no other. Over the last 37 years he has produced timeless, unique and inspirational music that has enthralled listeners the world over. Originally released in 1977, Bad Reputation is Thin Lizzy's eighth studio album that found them teamed up with legendary producer Tony Visconti who gave them a leaner and tougher sound, creating an album that rivals Jailbreak as their best studio album. It went to No. 4 in the U.K. and featured the hit "Dancing in the Moonlight (It's Caught Me In Its Spotlight)" which reached No. 14 on the U.K. singles chart in September 1977. Fully remastered, Bad Reputation features the unreleased bonus tracks "Killer Without A Cause," "That Woman's Gonna Break Your Heart," "Bad Reputation" and "Dancing In The Moonlight (It's Caught Me In A Spotlight)" taken from a session recorded for the BBC, plus a soundcheck of "Me And The Boys." Sandy Denny is considered a founder of the British folk rock movement and perhaps its most important female singer, songwriter and personality. She is remembered for her pivotal involvement with the British folk rock scene, where, as a member of Fairport Convention, she moved the band away from west coast American cover versions and into performing traditional material and original compositions. Sandy is also remembered as a composer, most notably on her solo albums, which represent her claim to be Britain's finest female singer-songwriter whose smooth vocal delivery still sets the standard for many of today's female folk-based singers. Sandy Denny's 1971 debut solo album, North Star Grassman and The Ravens, has now been expanded to 2 CDs and given the Deluxe treatment with rarities, unreleased tracks and a 16- page booklet with unseen photographs. Disc One contains the original album plus previously unreleased bonus tracks including an instrumental version of "Lord Bateman," a demo version of "Next Time Around" and a duet with Richard Thompson, titled "Walking The Floor Over You." Disc Two contains twelve bonus tracks including demo versions of songs which were previously only available in the lavish 19-CD box set plus songs recorded for BBC Radio's Bob Harris show in September 1971, "Blackwaterside" from the BBC's Sounds On Sunday from November 1972 and four tracks recorded live at the Paris Theatre on March 25, 1972. Over a brief career spanning just thirteen years, the late Sandy Denny left an extensive musical legacy and she remains the pre-eminent British folk-rock singer. Jim Capaldi, the co-founder, drummer, vocalist and lyricist of the legendary Traffic, was one of the most significant songwriters of our generation. Dear Mr. Fantasy: The Jim Capaldi Story is a 4-CD box set that spans the entire career of this enigmatic artist and is packed with material from his early days with The Hellions, Revolution, Deep Feeling, Traffic and his own successful solo work throughout the '70s, '80s and '90s, including recordings he did with rock legends such as Eric Clapton, Steve Winwood, George Harrison, Carlos Santana and Van Morrison. Dear Mr. Fantasy also features unreleased bonus material such as rare photos, live performances, home demos and an unreleased 2004 recording of "Dear Mr. Fantasy." From the streets of the West Midlands to the Rock and Roll Hall Of Fame, Dear Mr. Fantasy is an incredible overview of the remarkable recording career of the legendary Jim Capaldi. 15. How Much Can A Man Really Take? in the area? make a day of it...crate digging that is !! 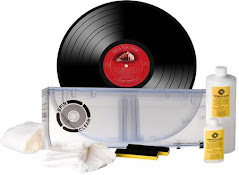 CHARLESTON - Want to replace your mother's cherished Elvis LP you "accidentially" smashed as a kid? Perhaps you feel digital recording can't capture the warmth and feeling present on a vinyl record. 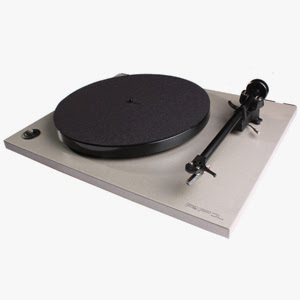 Or maybe you just inherited a family member's old turntable and want to try it out. On Saturday West Ashley Shoppes Center is the place for you. Monster Music will be hosting its second 2011 Charleston Record Expo 10 a.m. - 5 p.m. in the open storefront next to World Market with 14 vendors selling thousands of LPs, 7"s, 45s and other related items. "Record conventions held for and by buyers and collectors have been going on for ages," Monster Music District Manager Galen Hudson said. "They were really popular in the 70s and 80s, but kind of went away somewhat when CDs took off." 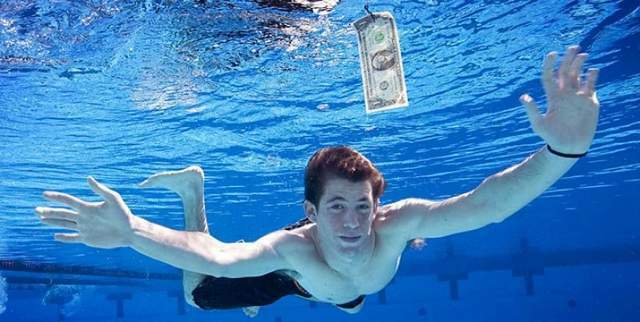 On Sept. 24, 1991 Nirvana’s new album Nevermind' set the tone for a decade of music. Alternative rock became the mainstream and the band’s frontman, Kurt Cobain, was labeled the voice of a generation. Friday night, the Bombay Bicycle Club will celebrate the album’s release with an art show and concert. From 6-9 p.m. the bar will host a pre-party and art show with special guest Spencer Elden. Elden was just 3 months old when he posed for the album cover of “Nevermind.” The photo of a naked baby swimming in a pool with a dollar bill dangling in front of him became one of the more widely known and parodied images of the decade. Now 20, Elden is interning at Shepard Fairey’s Obey Giant studio and has designed a special poster for this show. Groundbreaking album that helped define country-rock! In 1965 Missouri-born Gene Clark was riding the crest of unprecedented success and adulation as a member of the Byrds. Anointed as America’s answer to the Beatles, the Byrds topped the charts with folk-rock anthems like “Mr. Tambourine Man,” “Turn! Turn! Turn!” and “Eight Miles High.” Gene was front and center as tambourine player, singer and principal songwriter for the group. But in early 1966 he flew the Byrds’ coop. A gifted songwriter, expectations ran high for a stellar solo career, but those hopes were dashed when his debut solo album and single both failed to chart. Dropped by Columbia Records the following year, Gene’s career remained in limbo until teaming up with banjo player extraordinaire Doug Dillard. What emerged from a series of informal jam sessions in and around Laurel Canyon was a loose-knit group of pickers seeking to break bluegrass music out of its traditional confines and redefine it in a contemporary country-rock context. The Fantastic Expedition of Dillard & Clark is a groundbreaking album that helped define country-rock and set the template not only for that genre but the entire alt.country, Americana and Roots Rock movements of the ’90s. Together with future Eagle Bernie Leadon, who co-wrote “Train Leaves Here This Morning” with Gene (featured both on the Fantastic Expedition album and later on the Eagles’ debut release), the Dillard & Clark merger represents a high-water mark in Gene Clark’s impressive canon of recordings and one of the most satisfying periods in his often troubled career. 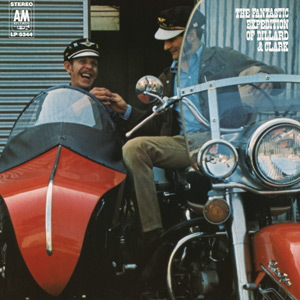 The Fantastic Expedition of Dillard & Clark ranks among a handful of seminal 1960s country-rock experiments. “I think we made our mark in country rock,” muses Doug Dillard. “We didn’t make the charts but we sure influenced a lot of people.” To insure that their influence carries on, Sundazed proudly presents this newly mastered edition, sourced from the original A&M analog tapes, available on resonant vinyl and compact disc and packaged in a vibrant recreation of the original cover artwork. CD includes extra photos and new liner notes by Gene Clark biographer John Einarson. It’s an expedition you’ll want to take time and time again! being a grandfather of a two-year old, elmo gets a lot of attention in my household. i say cheers to hasbro and cheers to my friend elmo! PAWTUCKET, RI — SEPTEMBER 20, 2011 /PRNewswire/ — Are you ready to rock? It’s show time as Hasbro Inc.’s (NASDAQ: HAS) iconic PLAYSKOOL brand introduces the LET’S ROCK! ELMO interactive plush, the most innovative Elmo toy yet. 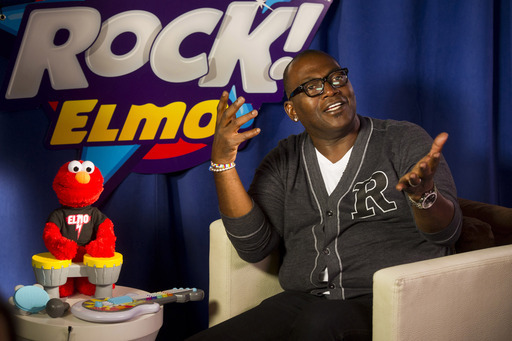 Joined by music industry veteran and Grammy Award-winning producer Randy Jackson, LET’S ROCK! ELMO made his official debut at a private event yesterday at the Empire Hotel in New York, NY. Known for his ability to guide the next generation of music superstars into the spotlight, Jackson was on hand to offer advice as LET’S ROCK! ELMO takes the stage at retail this fall. The truly interactive LET’S ROCK! ELMO plush character sings, plays instruments, and invites little musicians to rock out with him! Children can sing along with their favorite red furry rocker to six on-board songs, including the popular “Elmo’s World”, “What Elmo Likes About You” and original “Elmo Likes to Rock & Roll,” while the LET’S ROCK! ELMO toy jams along. When children hand LET’S ROCK! ELMO the included drums, tambourine or microphone, he recognizes which instrument he is playing! Little musicians can join in with a LET’S ROCK! guitar, keyboard or microphone (each sold separately) to form their own rock band with the LET’S ROCK! ELMO toy. Elmo will wirelessly recognize these instruments too and play and sing along. turned their thumbs down to Rock and Roll." In 1958, "To Know Him Is To Love Him" by The Teddy Bears enters the Billboard Hot 100 at #88. Lead singer Annette Kleinbard was backed by Phil Spector on guitar, Marshall Leib on bass and last minute addition Sandy Nelson on drums. Although the recording session lasted only 20 minutes and cost just $75, the single would reach #1 in early December and sell over 1.4 million copies. Also in 1958, after receiving special permission from the U.S. Army, Elvis Presley gave one last press conference at the Military Ocean Terminal in Brooklyn. He then joined the rest of the 3rd Armored Division on the USS General Randall for a voyage to Bremerhaven, Germany. "Fiddler on the Roof" opened on Broadway in 1964. It was the beginning of a run of 3,242 performances. Also in 1965, the Supremes made the studio recording of "I Hear a Symphony," which will go on to become their sixth US number one. In 1966, the Lovin' Spoonful were awarded a Gold record for their fifth US Top Ten single and first number one hit, "Summer in the City". 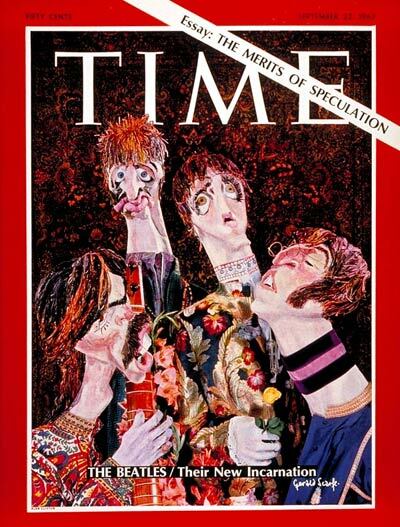 In 1967, a cartoon image of The Beatles wearing colorful outfits appears on the cover of Time magazine, along with the line "The Beatles / Their New Incarnation." Family Stone were all booked to appear on the show. In 1972, David Bowie began his first U.S. tour with the Spiders from Mars. Geffen Records was formed in 1980. John Lennon signed on with Geffen Records after David Geffen promised to release his next album without even hearing any of the songs. In 1981, American composer Harry Warren died at age 88. He wrote more than 800 songs including “I Only Have Eyes for You” (a hit for The Flamingos and Art Garfunkel), “You Must Have Been a Beautiful Baby,” “Jeepers Creepers,” “That’s Amore” and “Chattanooga Choo Choo.” Warren's songs have been featured in more than 300 films. In 1982, the Who kicked off what they say is their farewell tour, a 40 date trip that will gross $23 million. They would reunite in 1985. 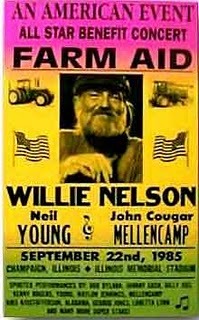 In 1985, 80,000 fans watched the first Farm Aid concert, featuring Bob Dylan, John Mellencamp, Billy Joel, B.B. King, Roy Orbison, Loretta Lynn, Neil Young, Tom Petty, Willie Nelson and other performers who help raise $7 million. The annual event takes place every Fall to help the American family farmer. In 1989. Irving Berlin died at the age of 101. In 1990, Nirvana played their biggest gig to date when they appeared at the Motor Sports International Garage in Seattle. Drummer Dave Grohl, who would audition for the band in a few days time, was in the audience of 15,000 people. In 1992, "MTV Unplugged" renamed one episode "MTV Plugged" when Bruce Springsteen played an electric set on the show. The album 'Psycho-Circus' by KISS was released in 1998. In 1999, Dolly Parton, Johnny Bond and Conway Twitty were inducted into the Country Music Hall of Fame. In 2004, CBS was fined $500,000 for the Janet Jackson Super Bowl wardrobe malfunction. In 2010, Eddie Fisher, one of the most successful American singers of the 1950s, passed away at the age of 82. Fisher, who had ten Top 20 singles in the US between 1950 and 1967, is the father of actress Carrie Fisher, who played Princess Leia Organa in the original 'Star Wars' trilogy.